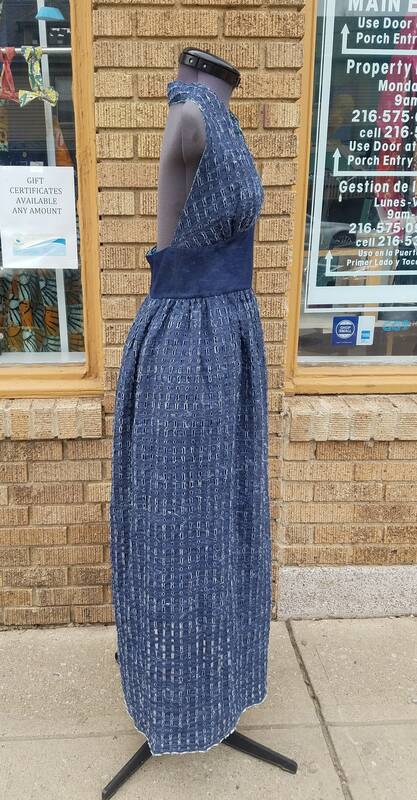 Long halter Sundress, in a slashed distressed denim. 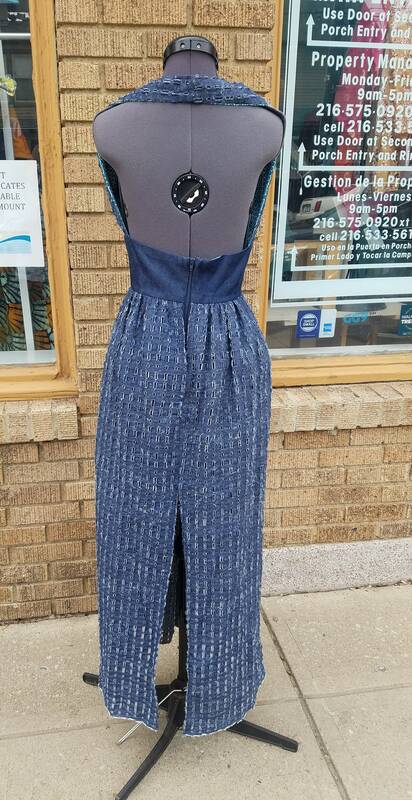 The bodice and waist are fully lined, and the bottom is lined with an above knee denim skirt. 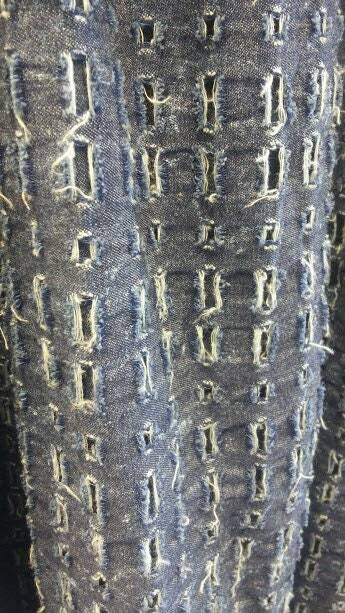 Back zipper and slit for an easy fit. 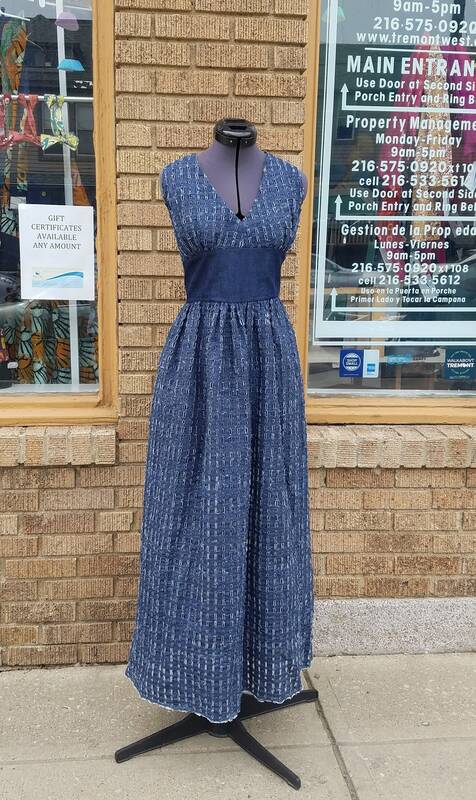 Pair this beautiful sundress with a brightly colored jacket (sold separately), or statement earrings for a complete look. Order by size, or send me your measurements for a customized fit. Part of the Tidal Cool Vivid! 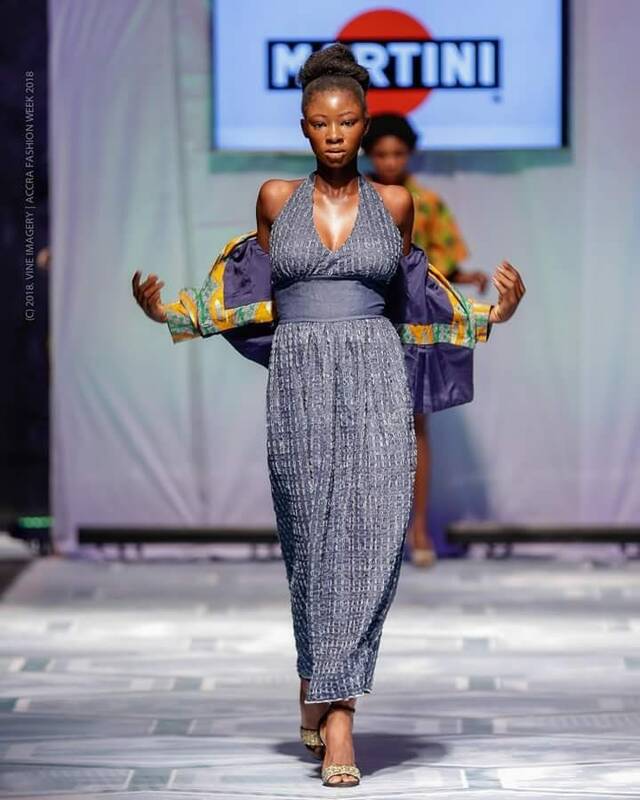 Collection, designed for Accra Fashion Week 2018.